Even though the weather did not cooperate with us to have everything out on the Village Green, we still had an amazing turnout! We had 204 register before the event and 70 during the event, which equals 274 kids (0-12 years old) plus their family members. We also had at least 40 more show up and not register! Our church was overflowing with people, praise God! The DUMW Bake Sale was hopping. 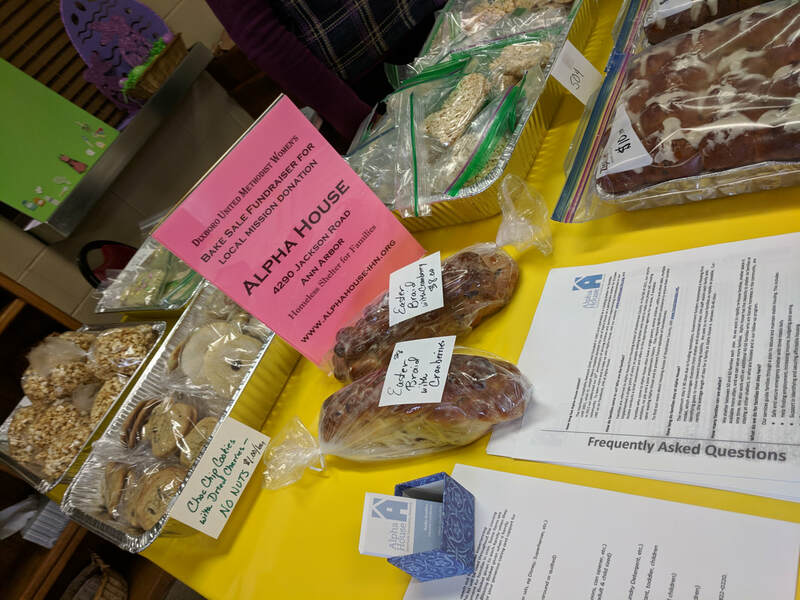 They made $310; proceeds will go to Alpha House, which provides housing and support services to families in need in Washtenaw County. Thank you to all who worked the sale, and who made the delicious treats. 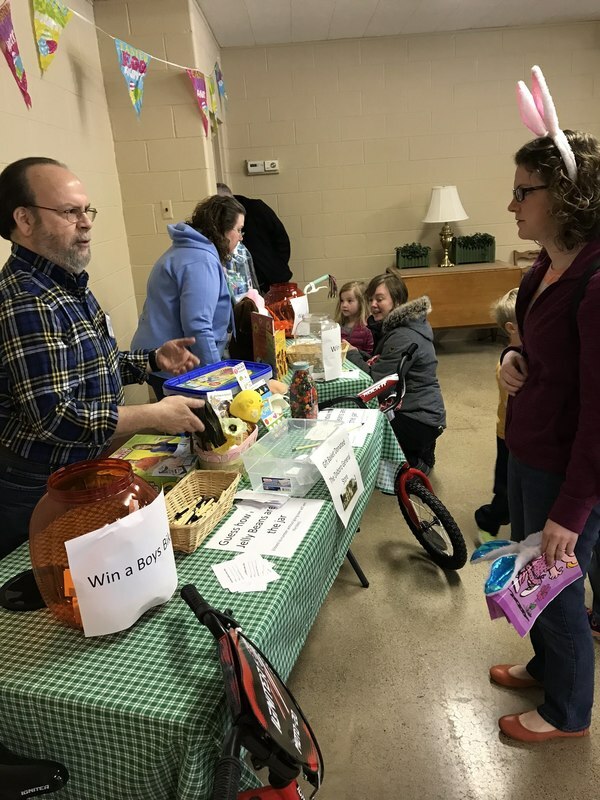 ​Thank you, so much, for your kindness and generosity in putting on the Eggstravaganza Easter event. We had a great time! The staff was wonderful and the event was darling! Thank you very much for the Easter event. My 3 year old son enjoyed it so much! I sincerely appreciate! Thanks again. Blessing to your church family! And last, but definitely not least ...THANK YOU to all volunteers who worked their tasks with passion, and gave us feedback to make it better for the future. As a side note: If you see plastic eggs on sale right now in stores, please consider picking some up to donate for next year. Thank you!